It’s no secret that I am a huge fan of supernatural. It basically all I talk about. I’ve only been watching for a few months but I am hooked, obsessed and well and truly in love with the whole show, the plots, the themes, the craziness of it all, the characters, everything. I love it all. Just the other night I finished watching season 9 and I came out of it not only scared about the fact that I am now so close to the most recent end but also flabbergasted! If you haven’t seen seasons 3 and 9 then please be warned that there are spoilers ahead. 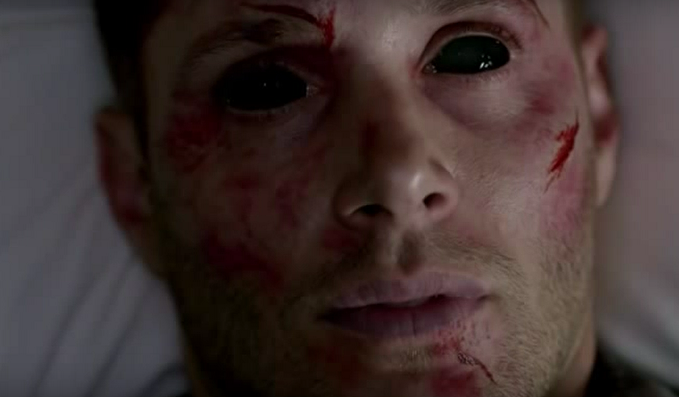 Since I began watching Ive always known that eventually Dean becomes a Demon. I have managed to avoid finding out how, or why, over time so that when it eventually happens, I would not feel disappointed. I was not disappointed, in fact, I was surprised. I didn’t realise that the ending of the finale would show us that Dean becomes the Demon, I thought that didn’t happen until season 10. While the whole episode was fantastic, It was the last few scenes that really gripped me. You’re brother, bless his soul, is summoning me as I speak, Make a deal, bring you back, its exactly what I was talking about. It’s all become so, Expected. You have to believe me, when I suggested you take on the mark of Cain, I didn’t know this was going to happen, not really, I mean, I might not have told you the entire truth, but I never lied. I never lied, Dean. That’s important. Its fundamental, but, there is one story about Cain that I might’ve forgotten to tell you. Apparently, he too was willing to accept death rather than becoming the killer the mark wanted him to be, so he took his own life with the blade. he died. except, as rumour has it, the mark never quite let go. You can understand why I never spoke of this, why set hearts a flutter at mere speculation? It wasn’t until you summoned me, no, it wasn’t truly ’till you left that cheeseburger uneaten, that I began to let myself believe. Maybe miracles do come true, Listen to me Dean Winchester, what you’re feeling right now, it’s not death, its life, a new kind of life, open your eyes Dean, see what I see, feel what I feel, lets go take a howl at that moon. 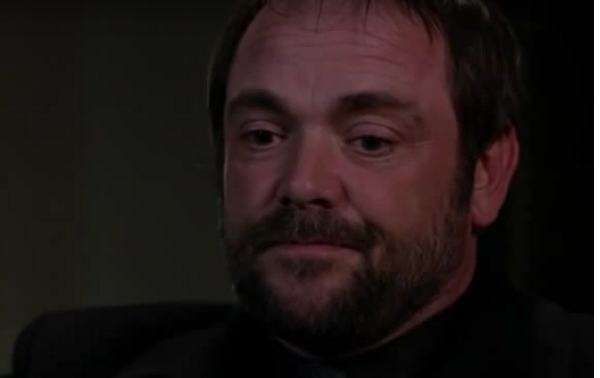 Crowley’s Whole speech starts off with feeling, making me believe that he is almost sad to see Dean dead, as he progresses, we start to notice, he’s not there to say goodbye, he’s there to ignite a fire. Pick himself up a new toy. 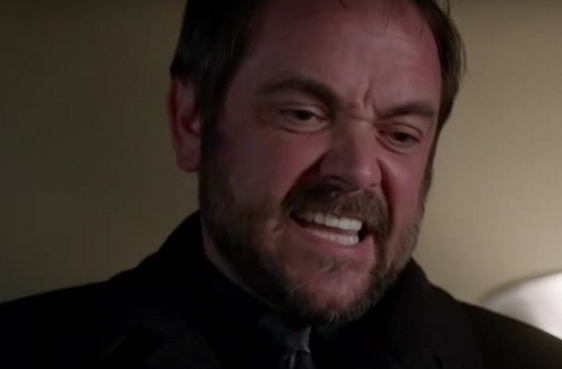 We are firmly reminded that Crowley is the King Of Hell, the enemy. Something that the Winchesters would and should hunt. 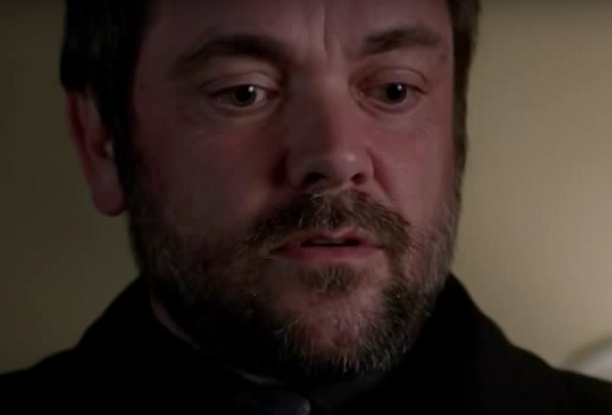 A firm reminder that Crowley was never Friend but always Foe. But there’s more to this scene, it not just a reminder that Crowley was and always has been the KOH but it takes us back 6 seasons and reminds us that we’ve seen this Dean. 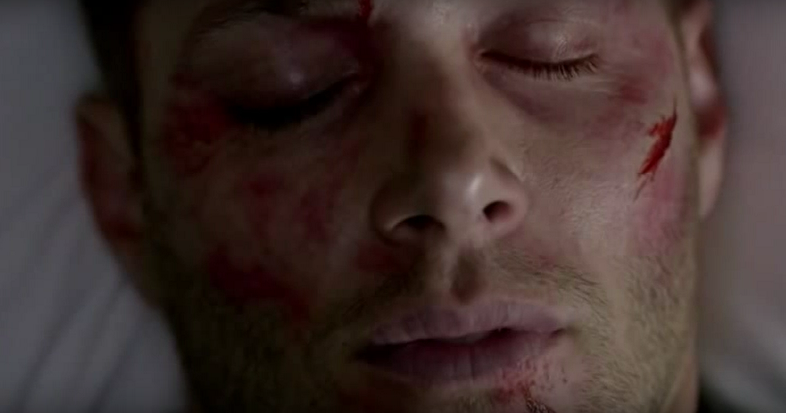 We watched Dean confront a Demon version of himself back in season 3 and, correct me if I am wrong, season 9 dean has the same marks, cuts and burises on his face in S9 Finale as he did in S3x10 ‘dream a little dream of me’. Back then, we think that its sorted, that what was happening then was prevented but now, it’s happened. We saw it. Was it coincidence or foreshadowing? was season 9 already planned in season 3? if we’re seeing Demon Dean so many seasons after being told that’s what he will become, is there a possibility that Sam does get possessed by Lucifer? Could that happen too? We all know Lucifer Warned us that that’s what would happen, that they would always end up there. is the apocalypse coming for us in a future season? For me, I think that its a possibility.